Is Faith Needed for Salvation? Well, it depends on which salvation and whose faith we are referring to? Let's sort out the salvation question first. As you know, one of our theme texts is 1 Timothy 4 : 10, which sits under the search box beside every post on this BLOG. So all humanity will be saved eventually, but there is something special in store for believers. However, not everyone will need to wait for the ages to be completed to receive their salvation. The "especiallies" are those who have become believers - have believed that Jesus died for the sins of the world - during their lifetime on earth, and will enjoy their salvation and inclusion in the Body of Christ during the remaining ages, which includes the Millennium and the New Heavens and Earth. So there are two salvations - one for believers during the ages and continuing beyond them, and one for the remainder of humanity at the completion of the ages - another illustration of the first fruits and the main harvest in Hebrew agricultural terminology. What about the faith question? Long time readers of this BLOG will know that many of our popular English translations of the Bible have translation errors which have been used to mislead people regarding several aspects of God's plan for us. The ownership of the faith needed for both the salvation of the main harvest and the first fruits is another victim of these errors. Because of the age-old tradition in many Church circles that we are saved by making a decision for Christ or by inviting Jesus into our hearts or by some other initiative taken by us, most modern translators have read such a position into the texts. In those translations, the Greek "faith OF Jesus" is translated as "faith IN Jesus". It was the faith or faithfulness of Jesus, Jesus Christ's faith in his Father's purpose for him, that took him to the cross to secure our salvation. We had (then) and still have (now) absolutely no input into it. Jesus did it all! With no assistance from us everyone will eventually be reconciled to God without lifting a finger. Yes, Jesus was successful in dying on the cross for the sins of the world. However, to be in the Body of Christ, to be among the first fruits, to have life during the ages, we need to believe in the finished work of Christ for mankind and to be available as a co-worker with Christ in His kingdom work. We need to have faith in the finished work of Jesus. And that faith is also a gift from God for those He has selected for that role during the ages. Consequently, to be among the first fruits, to be in the Body of Christ, to be saved during the realm of time (the ages), to have age-ian life, we need to have received the faith to believe in the faithfulness of Jesus in dying for our sins. So, is faith needed for salvation? For the eventual salvation of the world, the faith of Jesus was needed. For the prior salvation of those chosen to be in the Body of Christ, the faith to believe in the finished work of Jesus will be given. Which is Better - Calvinism or Arminianism? I have sometimes been asked to choose between Calvinism and Armianism, on the assumption that Christian Universal Reconciliation is not a legitimate option. Very briefly, the god of the Calvinists has the ability to save all mankind, but doesn't choose to, whereas the god of the Arminians wants to save all mankind, but does not have the power or ability to. The real God, the God of the Bible, has the will, power and ability to save all mankind, and sent Jesus to be the Saviour of the world to make sure that happens. In the introduction to The Really Good News About God", I briefly describe Calvinism and Arminianism and show the short-comings of each. There are some people who tell me these are the only two positions that can be held, so, Barry, which one do you hold? Well, if you put it like that I would have to say I'm a Calvinist, but not a Calvinist of the common variety. I believe God has the will and strength to save those he has chosen to save ... but I broaden that number to everyone (on the basis of solid Biblical evidence you will find in the book}. OK. I'll give you a sneak peek right now. Consequently, just as one trespass resulted in condemnation for all people, so also one righteous act resulted in justification and life for all people. I have also discussed this position more thoroughly in a previous post "The Third View" published on June 6th, 2010. It is only a short passage, but it deals a fatal blow to several of the world's favourite views (beliefs). Note the order of events here. Man then sin then death. The Theory of Evolution requires the opposite - long ages of death to precede the arrival of humans on earth. We do not choose our destiny, God does. We are allowed to make choices along the way, which determines how difficult or enjoyable and rewarding the journey becomes. But the end result has already been determined by God. so also through the obedience of the one man the many will be made righteous. A righteous outcome for all hardly makes room for an eternity in hell or any other place that might be a separation from God. These are very brief comments on these unBiblical, misleading world views. However if you would like to discuss any of them further, add a comment below and let's start a conversation. Adjectives formed from nouns have the same basic meaning as their noun. For example, the noun 'truth' has an adjective 'true' which may be illustrated with "a statement that contains the truth is a true statement". Another example could be the noun 'day' and its adjective 'daily' which may be illustrated with "each day we wash the dinner dishes, so washing the dishes is a daily chore". The English words 'age' and 'eon' are nouns that refer to a period of time, often a very long period of time, which has a beginning and an end. Unfortunately in English we don't have a simple single word adjective corresponding to the noun 'age', although 'eon' does have the rarely used 'eonian'. The closest we can come to a "single word" adjective for the noun 'age' might be 'age-during' or 'age-lasting', or we might try to use an adjectival phrase like 'belonging to the age', 'pertaining to the age', 'during the age', 'of the age' or 'for the age'. As difficult as it is to find an adjective for age that we are comfortable with, we should never use words like 'forever' or 'everlasting' - words that convey the idea of never-ending, nor a word like 'eternal' - a word that conveys the idea of no beginning and no end. In the New Testament, the Greek noun that translates into age or eon in English is 'aion' and its corresponding adjective is 'aionian'. Possible uses might be: We are living in the aion of the church, so we are the aionian church, and, Believers will live and reign with Christ in the coming aion, so they will have aionian life. Unfortunately, most of our popular English Bibles quite wrongly translate 'aionian' in the Greek as 'eternal' in English. And this error causes us to miss the distinction between eonian life (life during the ages) and eternal life (life beyond the realm of the ages). Here are a few examples of using eonian correctly. Just as Moses lifted up the snake in the desert, so the Son of Man must be lifted up, that everyone who believes in him should not perish but have eonian life. For God so loved the world that he gave his one and only Son, that whoever believes in him shall not perish but have eonian life. That special something is eonian life, life that continues through the coming eons. So correct grammar reveals the difference between eonian life and eternal life - between life in the kingdom ages for believers and life in eternity beyond the ages for everyone. Indeed, without this correction, it is difficult to find the millennial kingdom anywhere other than in Revelation 20. I have taught my four sons to drive. That teaching began when they were quite small. They would sit on my knee behind the steering wheel as we drove deserted country roads or the longish driveway from the front gate to the carport. They had their hands on the steering wheel and (mostly) looked out the front window as we travelled. They thought they were driving the car and it was totally in their control. But, of course, I was driving the car, deciding where we were going and how fast we were travelling. I also decided on how much force I allowed my son to exert on the steering wheel, depending on whether he was trying to direct us where I had previously decided to go or not. Our prayer life is a bit like this. God knows where He is going and how fast He wants to get there. And He does allow us, indeed invites us, to put our hands on the steering wheel. How much effect we have on the steering wheel depends on whether we are heading in the same direction He is or not. So if we want to be effective in prayer, we need to be on the same page God is. We need to know His will regarding the subject of our prayer so we can pray "in Jesus' Name" and be gently placing our hands on His steering wheel. Praying for something that is not in God's will is as useless as my son trying to pull the steering wheel in a different direction to where I have chosen to go. I will just "out-pull" him with my stronger grip. So how do we know God's will? First, we need to know what God has revealed about His intentions in His Word. Second, we need to spend time (in prayer) asking God what he wants us to pray for before we begin asking for things to be done. I often answer the question, "How do you get all your prayers answered?" with the one-word instruction, "Cheat!" Find out what God is planning to do, and pray for it to happen. A beautiful example of this cheating is demonstrated by Daniel in the Old Testament. For Yahweh says, “After seventy years are accomplished for Babylon, I will visit you and perform my good word toward you, in causing you to return to this place. For I know the thoughts that I think toward you,” says Yahweh, “thoughts of peace, and not of evil, to give you hope and a future. You can read the whole prayer in the following verses. A Biblical example of cheating! Knowing God's plan and praying for it to happen. It gives me great peace to know God's will cannot be overridden by the will of any of his children. Can you imagine the chaos if God granted every request, especially those prayers that ask for very different (even opposite) outcomes or actions from God in the same circumstance? We need to gently place our hands on God's Great Steering Wheel if we are to get all our prayers answered, and be co-workers with Christ in the Body of Christ. Today's post highlights the salvation of Israel, a step on the way to the salvation of the world. There are many references to this event in the Old Testament, like Psalm 130 : 8 and Psalm 103 : 2 - 3, together with King David's confidence of his expectation to be "dwelling in the house of the Lord for ever" in Psalm 23. In the New Testament, the most descriptive mention of this event is in Romans 11, just after Paul illustrates God's faith community using his wonderful Olive Tree allegory. He tells us that although Israel has stumbled, she will not be rejected, nor has she fallen beyond recovery. In fact, God has used her stumbling to bring salvation to the Gentile, the non-Jewish, nations in order to make Israel envious or jealous. "Israel has experienced a hardening in part until the full number of the Gentiles has come in, and in this way, all Israel will be saved." So Israel will be saved after the full number of Gentiles has come in. The context of Romans 11 is the Body of Christ, the disciples or followers of Jesus, part of God's faith community that is illustrated by an olive tree. So when the Body of Christ is complete, then all Israel will be saved. (Paul is not talking here about the salvation of the world at the end of time, at the consummation of the ages. And we are living in the era or age when the Body of Christ is being filled; so at the end of this age, when this filling is completed, all Israel will be saved. Looking at the world situation, and the Middle East in particular, it is difficult to imagine how this event might happen. I certainly don't know *how* it will happen: all I know is that it will - because God's Word has declared it. And even that is a strain for many people. Suppose a mother says to her child, "You will be in bed by 7.30 pm.". The child starts thinking, "How does she know that? There's no way that's going to happen. I still haven't finished my homework, I haven't fed the dog yet, or cleaned my teeth." So how does mother know? She knows because she has previously made that decision and will make sure that it happens. So how does God know that all Israel will be saved? He knows because he has previously made that decision and will make sure that it happens. We have a role to play in completing the Body of Christ. That's one of the reasons we have been called, chosen early, before the rest of the world who will come to God later. One aspect of that role is sharing the good news that God loves us and does not count our sins against us - because Jesus has already died for the sins of the world. When we share God's good news, others who have been chosen to complete the Body of Christ will hear it, be given the faith to believe it, be drawn to Christ and added to his Body - in the same way we were. Each time that happens the Body of Christ will get that bit nearer to completion and Israel's salvation will be that bit nearer too. When all Israel are saved, the next part of God's plan for his creation, the kingdom ages, will commence with the Olive Tree having administration responsibilities that we are currently in training for. John 3 : 16 is probably the best known verse in the Bible and has been committed to memory by millions. Clearly this verse states that belief is needed for anyone to attain life. So this restricts life to those to whom God has given belief (faith). Now let's look at the next verse (sentence). This verse claims that God is going to save the world, for this is the reason Jesus came. So let's put these two claims together. 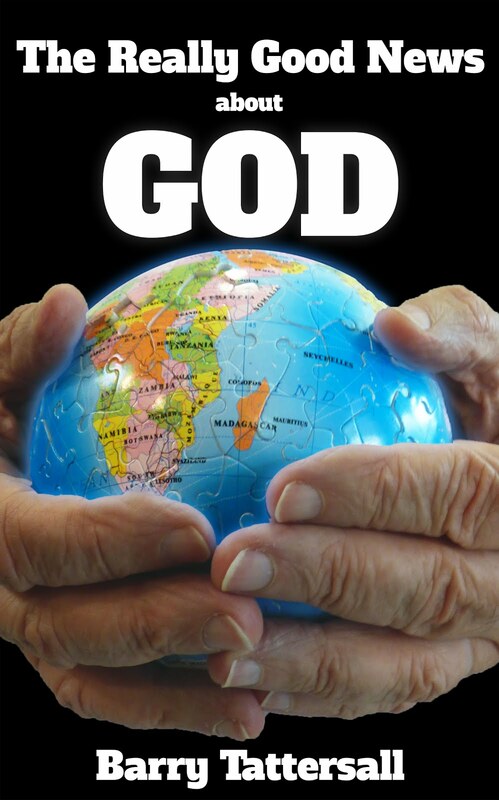 Belief (faith) is needed to attain life AND God is going to save the world (everyone). These two claims can only be consistent with each other IF God is going to give belief to the world, to everyone. And if he hasn't done so by the time anyone dies and leaves this planet, he must be planning to do so in the ages still ahead of us. So to understand God's plan for everyone we can't afford to consider John 3 : 16 on its own. We need the next verse with it to complete the picture. Israel Folau has caused quite a stir in saying God's plan for gays is that they will go to hell "unless they repent of their sins and turn to God". He has since quoted 1 Corinthians 6 : 9, 10 to support his opinion. So all Paul (and Israel) are saying is that there are some people who will be in the unseen realm (hell) and therefore will not inherit (be present in) the kingdom of God during the remaining eons of space and time. Before discussing this further, let me first congratulate Israel for standing up strongly for what he believes. So few Christians seem to be brave enough to do this, especially if they are being attacked in the public arena and their livelihood depends on their public acceptance. So well done Israel. I sincerely wish there were more Christians like you. Now to the other half of the story. It is true that people who are not yet reconciled to God will not inherit the kingdom of God. The kingdom of God is the rule of God in the heavens and on the earth during the present and future ages (or eons) and is a joint venture administered by Christ and his chosen followers. Clearly only those reconciled to Christ, those chosen by God to believe the gospel in their lifetime, will be co-workers with Christ in this enterprise. In other words, only the righteous, those with right-standing before God, are going to be comfortable being in a joint venture with him. And who will these people be? They will be those who have been called by God "to repent of their sins and turn to God", using Israel's simple description. The co-workers with Christ in the kingdom are just the first-fruits of the harvest. Beyond those kingdom ages, when the ages have completed and we progress into the eternal realm, all of God's creation will be in unity and harmony with God. Yes, there will be eventual universal reconciliation as a result of what Jesus did on the cross for all of us. Although all of us are sinners while we live in our earthly bodies here (and the list of sins is even longer than the one Israel quoted above), there will not be sinners in the kingdom of God or in the eventual eternal realm - only ex-sinners of all shapes and varieties who have been changed by God into Christ-likeness. So Israel is correct. All sinners not reconciled to God will miss the kingdom of God era: however all will be reconciled to God in the eternal realm after the ages have been completed, just as Jesus promised. One of my very best friends, who is almost as big a Bible junkie as I am, just can't believe that all of creation will eventually be reconciled to God. For God was pleased to have all his fullness dwell in him (Christ), and through him to reconcile to himself all things, whether things on earth or things in heaven, by making peace through his blood, shed on the cross. just can't believe people like Hitler will ever accept God's offer of salvation. There are three major problems here. First: Salvation is not a Gift. God's salvation does not depend on people's acceptance of it. God doesn't offer salvation as a gift to be accepted or rejected. He has already graciously given it through the death and resurrection of His Son Jesus Christ. A bit like someone putting a million dollars in your bank account rather than offering the money in cash for you to accept or not. It's in your account - it's already in the bank - it's a done deal. Let me share a real-life illustration of this happening in 2018. A couple from our church dined at a local High Street Italian restaurant. After finishing their meal, the husband went to pay the bill. The waitress told him there was no need as the bill had already been paid. He contested this, saying he still had a debt to pay. Then the waitress explained that a local High Street trader has a table selected for each sitting and that he always covers the bill from that table. So my friend and his wife had no debt to pay - it had already been taken care of before they had even eaten, and no matter how much the bill might have come to. That's how it is with our sins. They have already been paid for - 2000 years ago. We have no debt to pay, our salvation was secured on the cross of Calvary centuries ago. It was all God's doing, we had nothing to do with it - it's a done deal. Either Jesus was successful in His sacrifice on the cross for the sins of the world, or He wasn't. All Christians I have met, including my friend, will agree that Jesus' mission to die for the sins of the world was successful. But then, illogically, assert that all will not be saved because some will not choose to accept God's gracious gift, thus contradicting their initial assessment of Jesus' success. Although God has chosen to save all, skeptics believe many (most) people will choose not to be saved and therefore overrule God's choice. In other words, the created being will overrule the Creator and His plans for His creation. God works out everything in conformity with the purpose of his will. Believing salvation is a done deal, Jesus' sacrifice was completely successful and God's sovereignty will make sure His plan for the full reconciliation of His creation is achieved is the correct Biblical view and gives God the honour and respect He deserves. How Will We Look in the Millennium? This post is a thought bubble about our millennium bodies. Hardly an important, faith-building topic, but one that sometimes piques our curiosity. I haven't delved too deeply into it, nor have I tested it to see if it is consistent throughout Scripture as I usually do before posting. But I wanted to share this thought from left field with you and invite your feedback on a "lighter" subject for a change. With Easter approaching, I started this thought trip while musing about the resurrected body of Jesus. Firstly, Jesus kept on just turning up, seeming to arrive from nowhere. Secondly, Jesus moved through walls, a bit like sound does, maybe. It was late that Sunday evening, and the disciples were gathered together behind locked doors, because they were afraid of the Jewish authorities. Then Jesus came and stood among them. "Peace be with you," he said. Thirdly, Jesus looked "normal", having flesh and blood and eating food. "Look at my hands and my feet and see who I am! Touch me and find out for yourselves. Ghosts don't have flesh and bones as you see I have." After Jesus said this, he showed them his hands and his feet. The disciples were so glad and amazed that they could not believe it. Jesus then asked them, "Do you have something to eat?" They gave him a piece of baked fish. He took it and ate it as they watched. But then the resurrected Jesus appeared to Saul on the road to Damascus. When Saul had almost reached Damascus, a bright light from heaven suddenly flashed around him. He fell to the ground and heard a voice that said, "Saul! Saul! Why are you so cruel to me?" The resurrected Jesus from heaven (after His ascension) looks a bit different to the resurrected Jesus on earth (before his ascension). What about the glimpse Jesus gave to Peter, James and John in the presence of the "resurrected" Elijah and Moses? After six days Jesus took Peter, James, and John (the brother of James) and led them up a high mountain where they could be alone. Jesus' appearance changed in front of them. His face became as bright as the sun and his clothes as white as light. And John's frequent reference to Jesus as the Light. Now John says that we, the children of God, will be like Him. So, if we are going to be like Him, which Jesus will we look like? I will continue this thought bubble in the next post (after Easter). To ensure there was a good crowd for the opening match of the season, the coach of a local football team was authorised to give tickets to every person who lived in their small country town. In addition, he gave gold passes to those who were his close friends, which entitled them to attend the pre-match lunch in the clubrooms with club officials and the players involved in the match. So everyone in the town got to enjoy the first match of the year, and there was a special treat beforehand for the coach's close friends. Sounds a bit like what God has in store for His creation, doesn't it? All of creation gets to enjoy eternity (the match) with God, but the friends of the Coach (believers - members of the Body of Christ) get to enjoy the pre-eternity ages with Him. And just as the coach's friends were chosen by the coach well before the day of the match, so believers (members of the Body of Christ) have been chosen well before eternity, even before the ages began. If you are a believer in Jesus Christ, who died for the sins of the world, you have been chosen before the creation of the world to be adopted into sonship. Indeed, you weren't chosen because you believed, you were given belief (faith) because you were chosen. We are very privileged people. But we also have great responsibility, not only in the now, but also in those pre-eternity ages - yes, we have been chosen for a purpose. PS. I am not tempted to de-gender "sonship" in the Ephesians 1 quote above because to do so would lose so much of Paul's thrust here. "Adoption to sonship" is a legal expression that referred to the full legal standing of an adopted male heir in the Roman culture of his time. So Paul is saying that believers have full legal standing as adopted sons (I call them male sons and female sons) and heirs with Christ in God's family. On several occasions I have referred to English translations of the New Testament Scriptures that have led many Christians to misunderstand the plans, and indeed the character, of God. I won't go over old ground with this post, just draw attention to a new translation recommended for my consideration and opinion by my beautiful granddaughter. It doesn't take long when looking at a new translation to discover the theology or doctrines of the translator or translation team. For example, a minister once told me he changed his preferred translation because the translation team of his new preference was more evangelical than of his previous choice. It really can be that obvious. What did my granddaughter recommend I review? It reads really well and has many very helpful comments at the bottom of each page, and I have enjoyed its fresh, passionate approach. It claims to use italics to show words used to clarify the narrative that are not in the original texts, which again is very helpful. However lack of consistency in using italics (or not using them, actually) demonstrates the translator's personal bias and beliefs. This is what I call the Bible PUB test - Personal Unverified Bias or Belief. Take, for example, two verses that are used to demonstrate God's sovereignty and God's purpose for His creation. When the non-Jewish people in the crowd heard these words, they were thrilled and they honored the word of the Lord. All who believed that they were destined to experience eternal life received the message. Let's overlook the wrong use of 'eternal' in both translations, and focus on the added words in TPT that were NOT italicised. God's sovereignty in appointing/predestining has been replaced by mankind's belief/decision to determine their own destiny. There's that free-will myth again, discussed in "The Really Good News About God" page 78ff, showing the translator's PUB. Let's overlook the TPT's diluting of God's action and involvement to just considering, and focus on the added words in TPT that are NOT italicised. We again have God's sovereign action replaced by the freewill action of those who have chosen to come to him. TPT is dotted with "salvation by mankind's freewill action" rather than God's gracious provision through the faithfulness of Jesus - all occurrences are displayed in the same type as the main text - which leads to so much incorrect thinking and theology. I don't mind an author (or translator) publishing a book with these personal beliefs (which I can read and agree with or not), but I don't appreciate these beliefs being inserted into the text of an English translation without proper notation. Having a literal translation on hand, like a Young or Concordant or Rotherham, will help evaluate the Bible translations we most frequently use and will keep us on track with understanding and appreciating God's character and His plans for mankind.